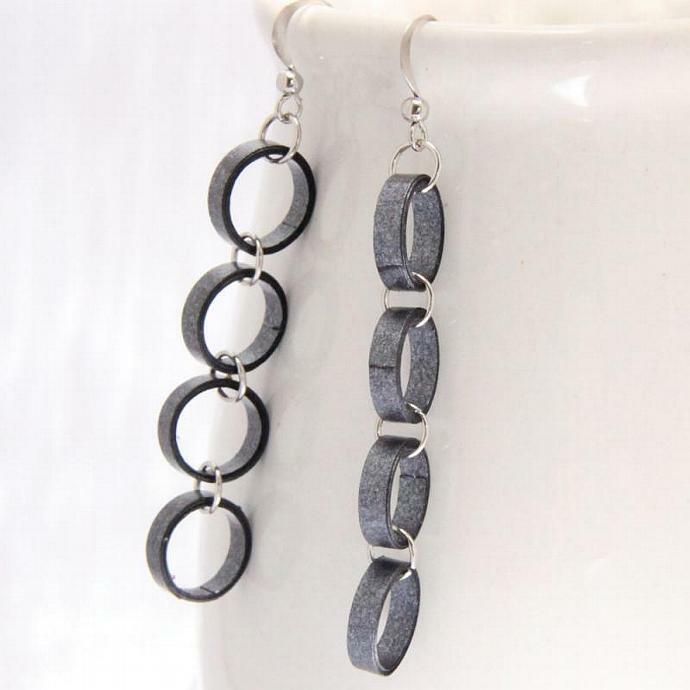 These gorgeous metallic black chain earrings are eco friendly and handcrafted by the art of paper quilling. I use specialty quilling paper with a metallic black pearl sheen to create the circles for this design. 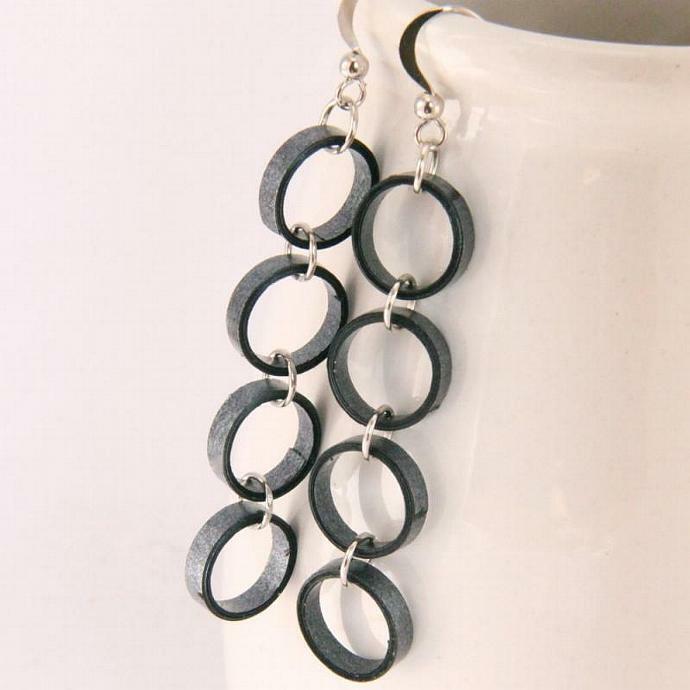 These are larger than the circles for my usual chain earrings. 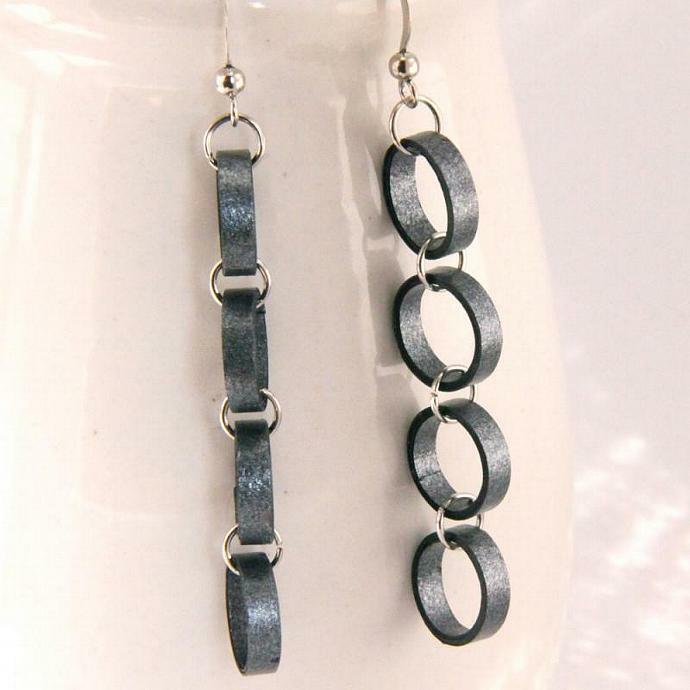 These special earrings are finished with non tarnish hypoallergenic niobium findings. They are the highest quality findings I can find, I love them! (The photo shows an old pair with silver plated findings). **Please note** This is a MADE TO ORDER listing. The stock pair has been sold, but I can make another. Please allow 2-3 extra days for your special pair to be created! 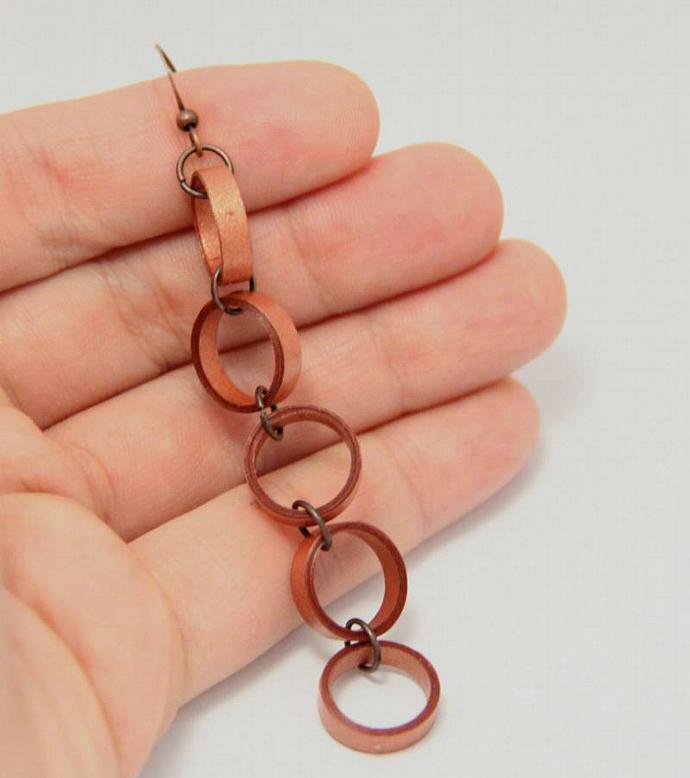 These earrings are 2 1/4" (5.6cm) long. 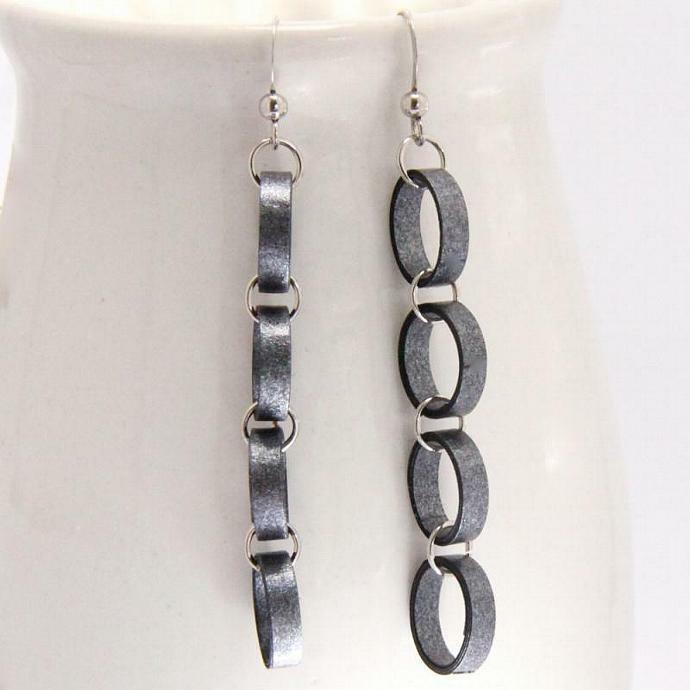 The last photo is of a similar pair of earrings, but with one extra circle. They are made with the same size circles, however, so you can get an idea of the size.